Everything is AWESOME! 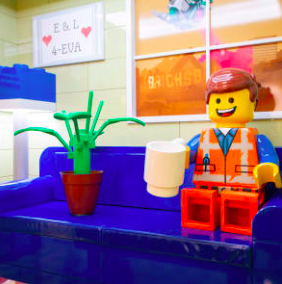 Step inside the world of The LEGO ® Movie 2: The Second Part for a special photo op with Emmet on his couch while General Mayhem works towards destroying the surrounding Apocalypseburg. The miniature sized LEGO(R) room offers a fun and unique glimpse in to film ahead of its February 8th release! 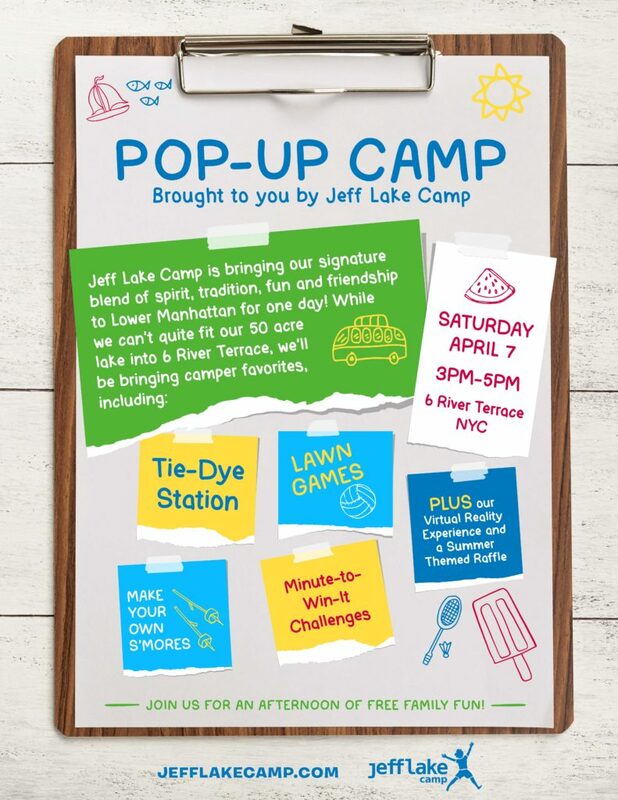 Come Play at Jeff Lake Camp Pop-Up Camp! Jeff Lake Camp is bringing our signature blend of spirit, tradition, fun, and friendship to Lower Manhattan for an afternoon of free family-friendly fun! 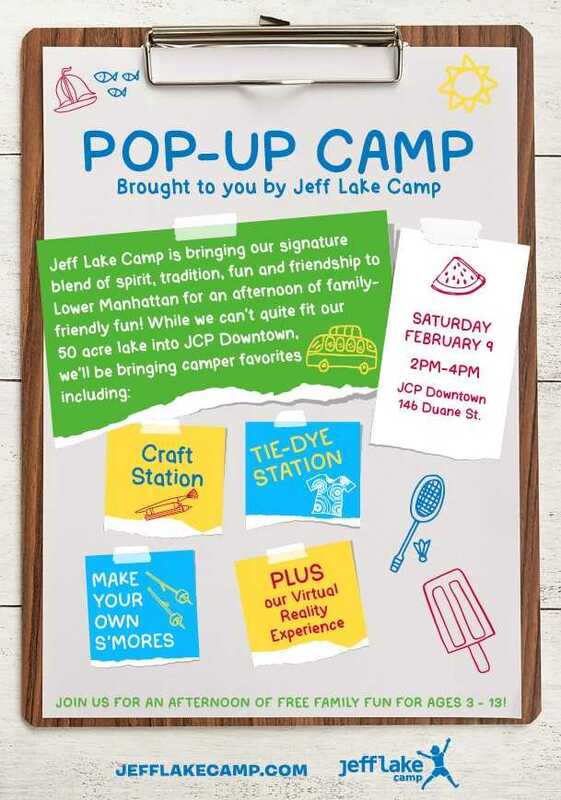 While we can’t quite fit our 50-acre lake into JCP Downtown, we’ll be bringing camper favorites including tie-dye, make your own s’mores, crafts, games and more! NYC is full of fun pop ups, but this one is “different” and FREE! Only a few more days to enjoy the photo opportunities this “cell phone service in an app” store has to offer. Jeff Lake Camp is bringing our signature blend of spirit, tradition, fun, and friendship to Lower Manhattan for one day! While we can’t quite fit our 50-acre lake into 6 River Terrace, we hope you’ll join us for an afternoon of tie-dye, lawn games, make your own s’mores and much more!